Eugene Davis passed away on March 8, 2007, in Boise, Idaho. He was born Jan. 3, 1942, in Marne, Mich., to Levi Walter and Idella Marie Vipond Davis, the third of seven children. He was raised in Apopka, Fla., and later moved to Utah where he met Susan Kay Hawkins while attending B.Y.U. On Aug. 5, 1969, they were married for time and all eternity in the Idaho Falls L.D.S. Temple. 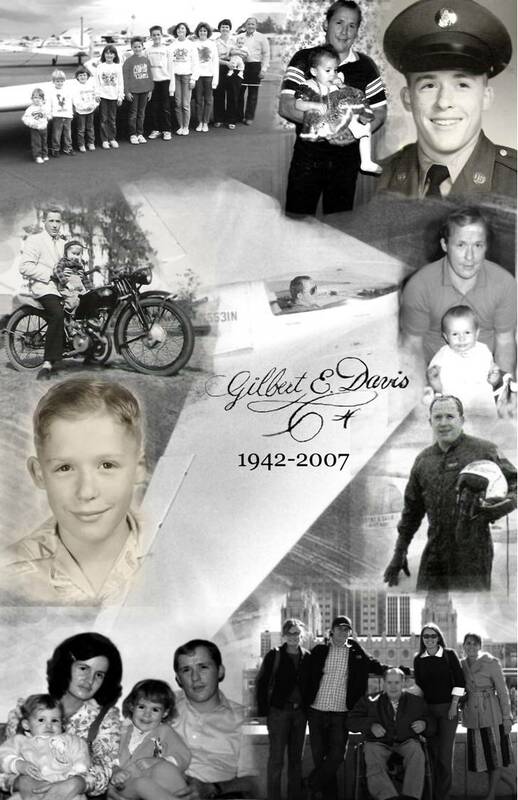 Gilbert was a dedicated member of the Church of Jesus Christ of Latter-day Saints who loved the gospel and his family. He and Susan lived most of their married life together in Boise, Idaho, where they raised their 10 children. Gilbert was a very talented and inquisitive child. He excelled in sports and was very acrobatic, and later in life learned to ride a unicycle, walk a tightrope, and walk on his hands. His older children will always remember his walking on his hands up and down flights of stairs or around the edge of the top platform at the Lava Hot Springs pool (before diving off, much to the lifeguards chagrin...) It was also in his childhood that he learned to love all things mechanical, tinkering with model airplanes, trains and motorcycles, and eventually working in a motorcycle shop, where he loved to test-drive the new BSAs and Nortons. But of all the things he grew to love as a child, airplanes were by far at the top of his list. For his eighth birthday, his father paid for him to take a ride with a barnstorming pilot - from then on his dream was to fly. Though Gilbert´s first attempt at building his own plane was foiled - when the 14 year-old´s secret workshop under the floor of the family garage was discovered by his father - his dreams of designing and flying his own airplanes were far from over. With little formal instruction or college experience, Gilbert went on to design and build several airplanes and propulsion systems, culminating on June 10, 1986, when he taxied down the strip of the Nampa Municipal Airport and lifted off - the first public flight of the Davis Flying Wing. News of the successful flight of a tailless aircraft of such novel design spread instantly through the aeronautical community. Gilbert graced the cover of numerous aviation magazines, including the January 1987 issue of Popular Mechanics. The single-seat aircraft flew beautifully, and a two-seat prototype version of the Wing was nearly complete when, in May of 1989, an engine belt failure forced Gilbert down near Star. Though Gilbert would spend the rest of his days confined to a wheelchair and experience tremendous medical problems including severe chronic pain, he never lost his faith, his love for his family, and his desire to pursue his dreams. His family is very proud of him and his undaunted courage and faith, and he will be dearly missed by his wife Susan; his 10 children: Mary (and F. Alan) Walker of Boise, Idaho; Katie (and Lane) Packwood of Boise, Idaho; Mike (and Michelle) Davis of Los Angeles, Calif.; Aaron of Boise, Idaho; Sarah (and Lucas) Bollschweiler of Maryville, Tenn.; Jenny (and Michael) Kimball of Philadelphia, Pa.; and Levi, Lynsey, Mallory, and Bethany of Provo, Utah; 13 grandchildren; and his siblings: Mary K. Davis, Ross Davis, Doug Davis, Bea Glover, and Danny Davis. He was preceded in death by his parents and an infant sister, Emeline. 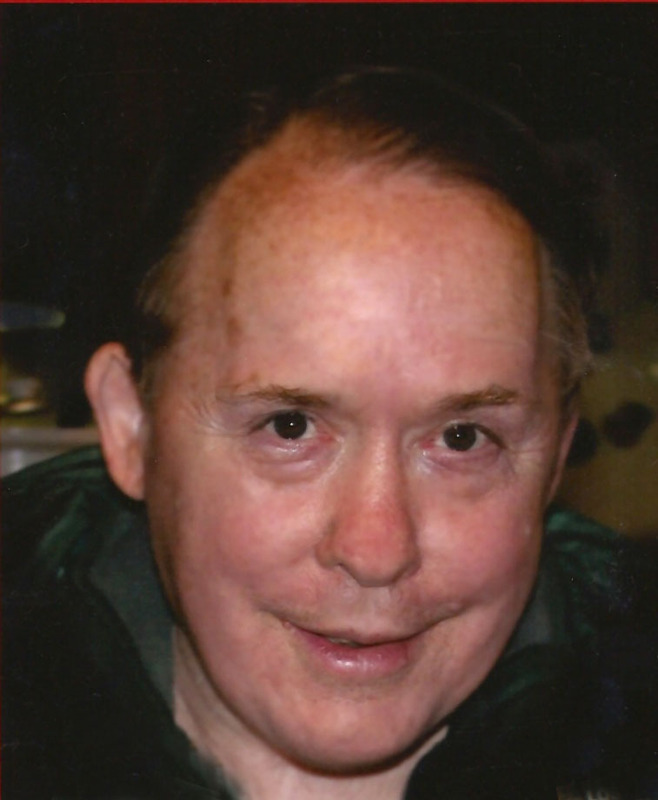 Family and friends are invited to attend a viewing to be held on Monday evening, March 12, from 6 to 8 p.m. at Relyea Funeral Chapel at 318 N. Latah. Funeral services will be held Tuesday morning, March 13, at 11 a.m. at the LDS Boise South Stake Center at 3200 Cassia; graveside services will immediately follow at Dry Creek Cemetery. Published in the Idaho Statesman on 3/11/2007. Tuesday March 13, 2007 11:00 a.m.